Piezas heredadas, contemporáneas o low cost conviven magistralmente en este pequeño apartamento en Nueva York. Rodeado de arte y estilo su dueño ha conseguido un espacio cálido y acogedor que me recuerda más una estética europea. El esteta Tom Delavan, que es a su vez dueño de todo el edificio, eligió para vivir uno de los pequeños pisos de sólo 35 m2. Admiro las personas que son capaces de crearse su universo de estilo en tan poco espacio. 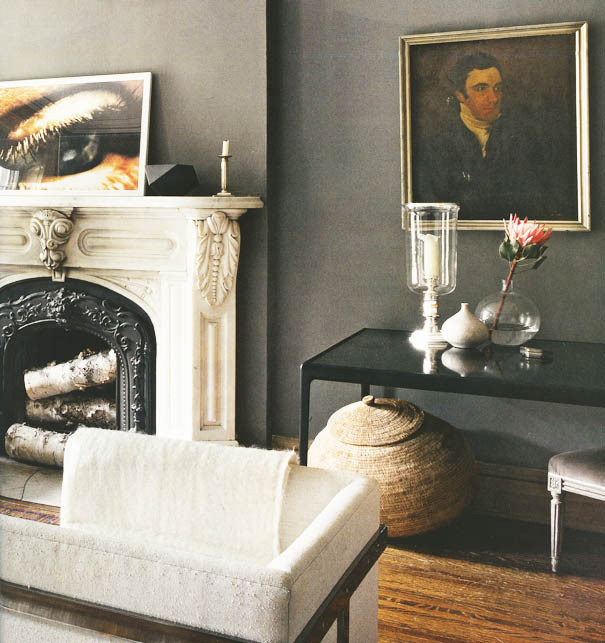 Inherited, contemporary or low cost pieces live magnificently in this small apartment in New York. Surrounded by art and style its owner has gotten a warm atmosphere that reminds me a European aesthetic. 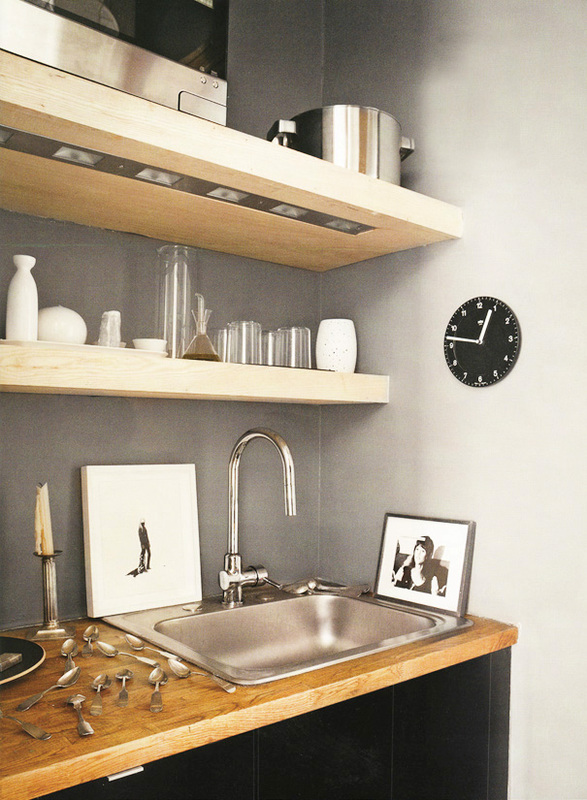 The esthete Tom Delavan, which is also the whole building owner, chose to live in a small apartment of only 35 m2. I admire people who are able to create their style universe in such a short space. 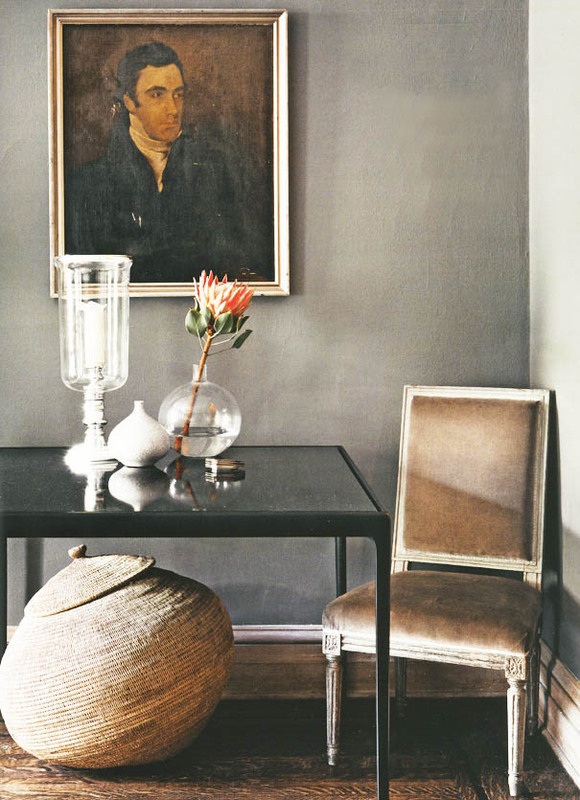 Fotos: Manolo Yller, scanned by me from the AD Sapin mag, January 2012. Oh what a beautiful space! 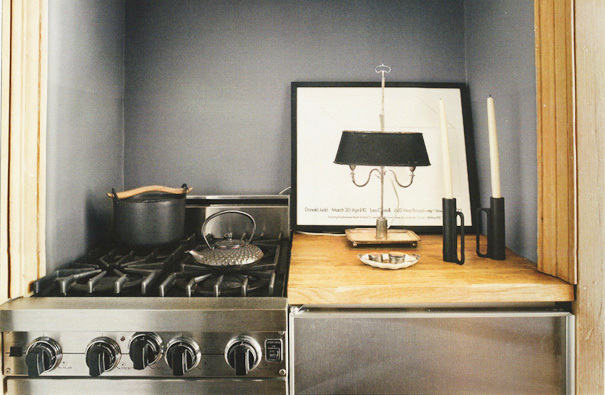 and I love the antique lamp in the kitchen, such a prett detail! I don't believe I've ever seen such small space that looked so big and grand. The rather minimalistic approach really pays off. It looks beautiful and very harmonic. He must be very good at cleaning the clutter every day;) Hope you're well and are having a great new week. Thanks for your London tips too. 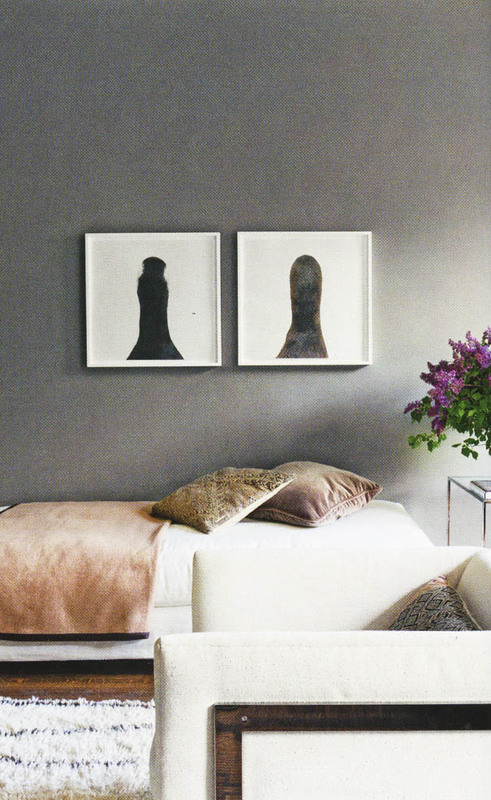 It seems that grey is the new white for walls. And I can not believe how spacious a small place like this one looks. If you have vision you can work miracles. Beautiful! Precioso reportaje !! la tercera imagen me encanta, un rincón especial. What a gorgeous abode. The grey is so sophisticated yet also gives off so much warmth. Love it! Me encanta . 100% mucho estilo en poco espacio. 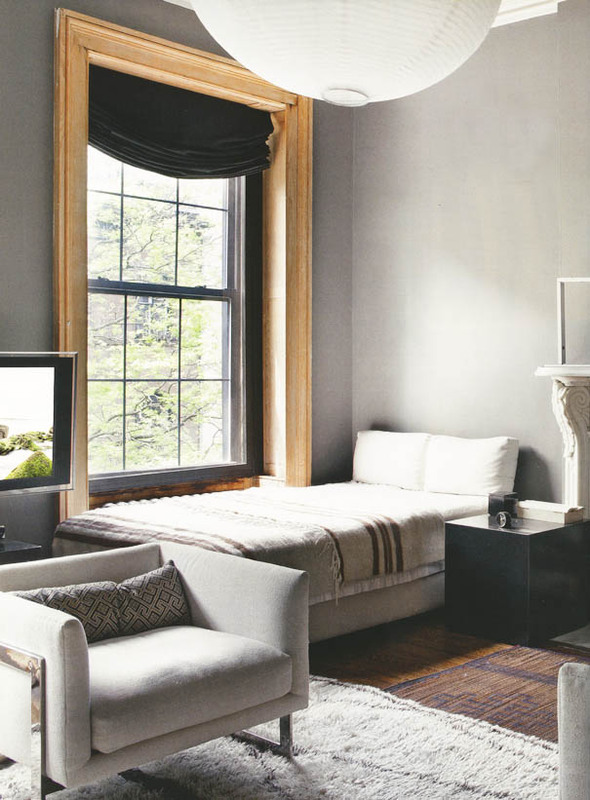 I really like the gray walls, very very beautiful! Cuánta personalidad en pocos metros! Muy interesante. What is the table on the first photo? Hermoso! Tengo esta revista y no me canso de ver el apartamento de Delavan. Gracias.